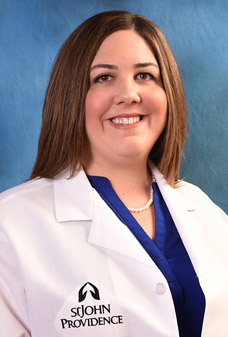 Jennifer Caruso, DO specializes in Maternal Fetal Medicine, providing care to mothers and their unborn children. Her special interests include fetal diagnosis through ultrasound and diagnostic testing and management of maternal chronic conditions including diabetes and hypertension. Dr. Caruso offers ... Read More chorionic villus sampling and amniocentesis and associated genetic counseling. Dr. Caruso is a graduate of Midwestern University in Downers Grove, IL. She completed her residency in Obstetrics and Gynecology at St. John Macomb-Oakland Hospital in Warren,MI. She completed her Maternal Fetal Medicine Fellowship at WellSpan York Hospital in York, PA before returning to her home state of Michigan. Dr. Caruso was raised in nearby Troy, MI. She is happy to be back in Michigan and working once again with St. John-Providence. Jennifer Caruso, DO offers services at multiple MI locations.